Spring into the great outdoors. Leap into the wild this spring and begin your outdoor adventure just in time for the warmer weather. March and April are traditionally the months that we start to see a change in the weather. Spring officially hits us (astronomically speaking) this year on the 20th March, the days start to lengthen following the vernal equinox and suddenly there's more around to see and do! People want to get out and about as the countryside brightens, there's more wildlife in the fields, green shoots, new buds and fresh leaves popping up all over the place. It's the perfect time of year for a glamping adventure. You have the whole countryside stretched before you to enjoy during the day. And in the evenings your colonial-style canvas retreat will be waiting for your snuggly evening in. Get the log burning stove going to fill the tent with warmth or, if it's a particularly good night why not sit out under the stars with the firepit keeping the chill at bay? Keep your eyes peeled for young animals; there'll be lambs in the fields, especially at our Bleasdale site in Lancashire! You might be lucky enough to spot distant fox cubs, frogspawn in ponds, an array of birds starting to gather twigs and hedgehogs beginning to reemerge. Rutland Water is a fantastic nature reserve close to our Exton Park site and there'll be lots to see around the water's surrounding habitats. 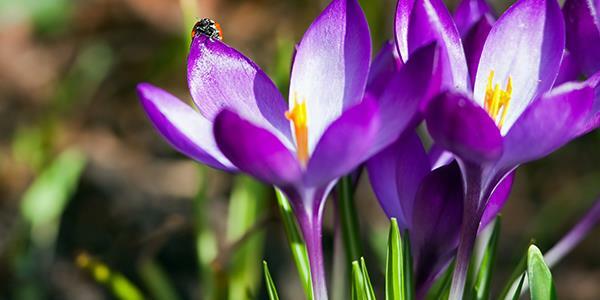 Common spring flowers to keep a look out for while you're exploring the countryside include crocus, primrose, wild garlic, witch hazel and winter aconite. Don't forget that as we get further into the spring, bluebells will start to appear too. The bluebell wood is a quintessentially British vision of springtime, perhaps because these dainty flowers favour the damp and the shady. Bluebells thrive in the ancient woodland of the English countryside and will provide a stunning carpet of bluey-mauve to any country walk. 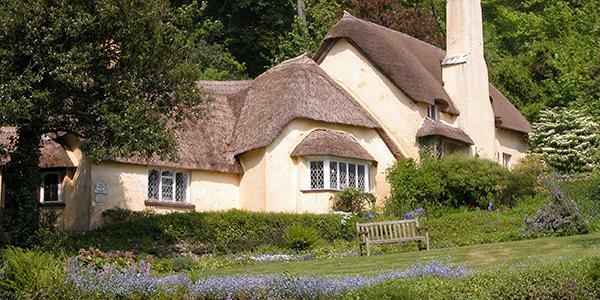 Holnicote Estate (above) in the Exmoor National Park is a great one to visit for beautiful walks. There is a fantastic range of landscapes to discover including moorland, coast and woodland. In Horner Wood, a sea of bluebells emerges each spring to brighten forest walks. 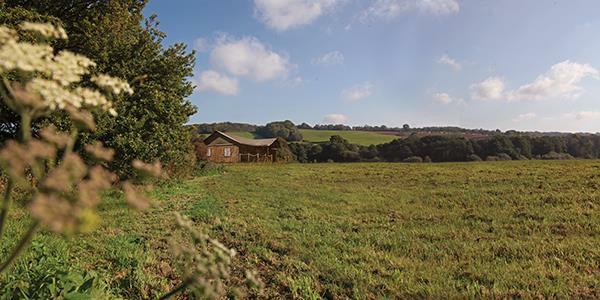 Kittisford Barton is just a drive away, so why not pay the estate a visit while you're enjoying your glamping break? Spring time is almost always synonymous with Easter. New life, regrowth and the start of brighter, warmer weather. 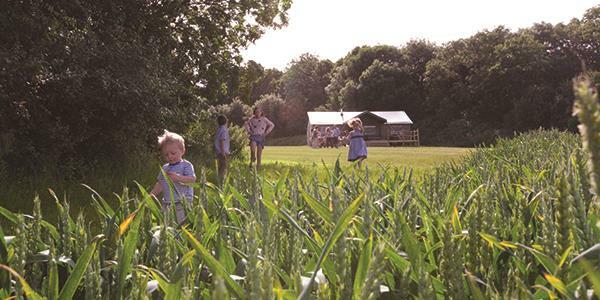 A glamping break is ideal for the Easter Holidays: children are buzzing with energy after being cooped up for the winter months and spending a term back at school. An outdoorsy break just as the sun is starting to reappear gives youngsters the freedom to run, explore, stretch their legs, discover new things and really wear themselves out! Each of our sites has been specifically chosen for its incredible location. Enjoy stunning walks or venture to the nearest attractions. 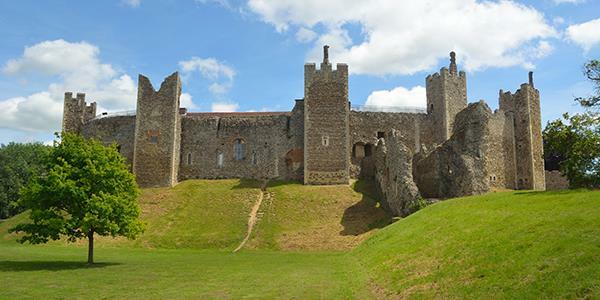 Sweffling is located close to the wonderful English Heritage-owned Framlingham Castle in Suffolk. The castle dates back as far as the 12th century and is a magnificent structure whose large, 800-year old curtain wall you can still walk today! You can explore the buildings and grounds or delve further into the history by visiting the exhibition. Over the holidays, children will love the Easter Adventure Quest when they'll be able to meet interesting characters from the past. Join us this spring for a fantastic outdoors holiday! Book your glamping adventure or check availability here.